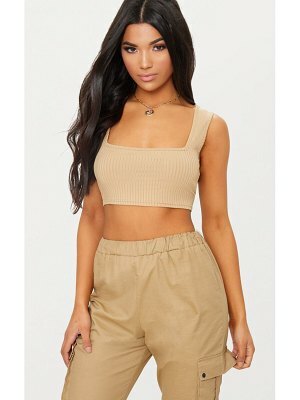 An edgy ThePerfext crop top in stretch suede. Exposed back zip. Sleeveless. Soft backing. Fabric: Stretch leather. 100% lambskin. Leather clean. Made in the USA. Measurements Length: 16.5in / 42cm, from shoulder Measurements from size S.